what do celebrity bathrooms look like? 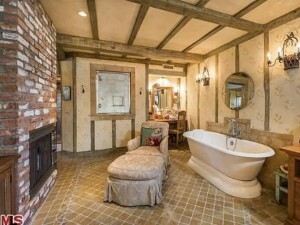 Celebrity Bathrooms; because even from that which we may not be able to afford, we can get inspiration. What ideas would you steal, in an affordable way, from these inspirational bathrooms?